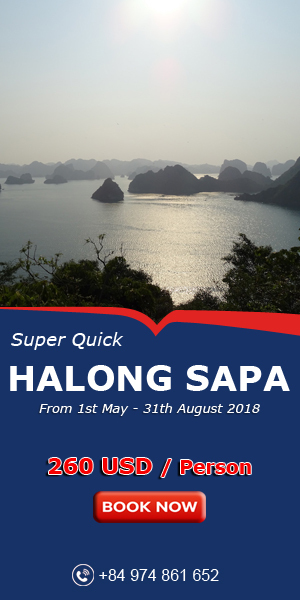 Visitors who travel to Sa Pa should not be missed an interesting tour – the Bac Ha fair, a famous highland markets throughout the North West area. About 80km from Sapa, Bac Ha Market is not only the place for buying and selling, but also a place for cultural and sentiment exchanging. 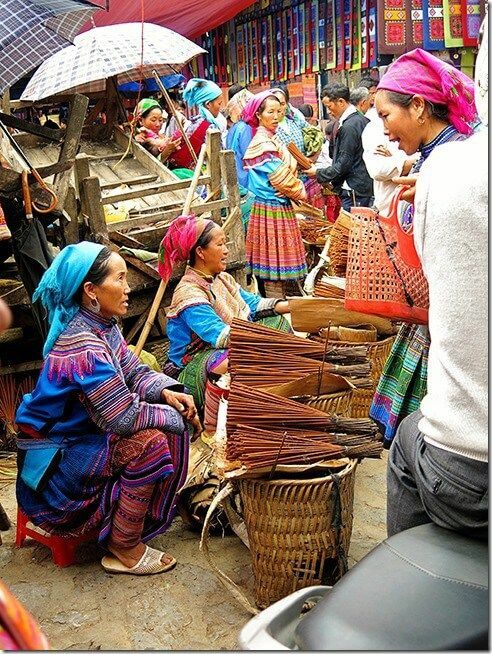 Every Sunday, Bac Ha hosts the biggest fair near the mountainous highlands and the Chinese border. 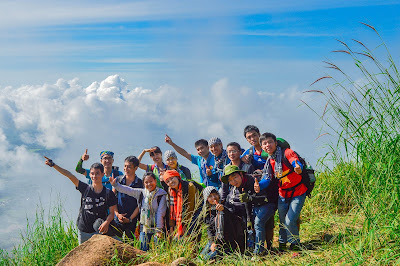 Along the way to Bac Ha Market, visitors will see the high mountains, the deep abysses and the terraced fields; meet ethnic people leading the pack horses to the market. To reach the market, they have to go early; even many people have to go from the previous day to the noon the next day. Many different ethnic groups such as Flower H’mong, Phu La, Dao,Tay and Nung minorities gather to buy and sell local products and the requisites for the ethnic people such as: plow, hoe, shovel, knife vegetables, fruits, honey… However, the most attractive products to ethnic women and tourists are jewelry, dresses, shirts, brocade and even the graceful rattan baskets. 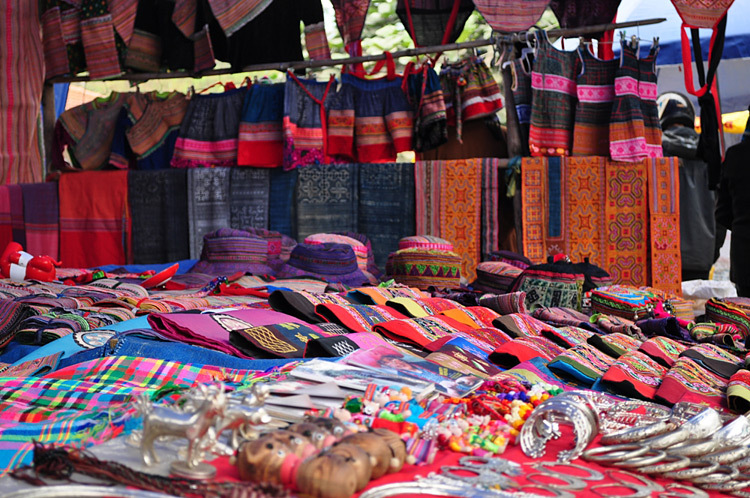 In the market, you can optionally select Brocade products, be dazzled with the brilliant colors of dresses of Hmong, Red Dao ethnic. 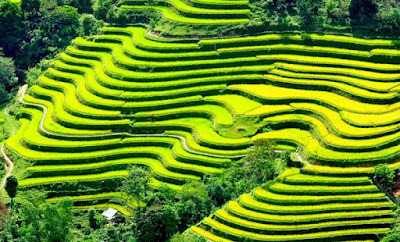 Foreign tourists often admire the hand-woven paintings with vivid patterns, harmonic and beautiful color. They also lead the cows, pigs intended to sell in market. 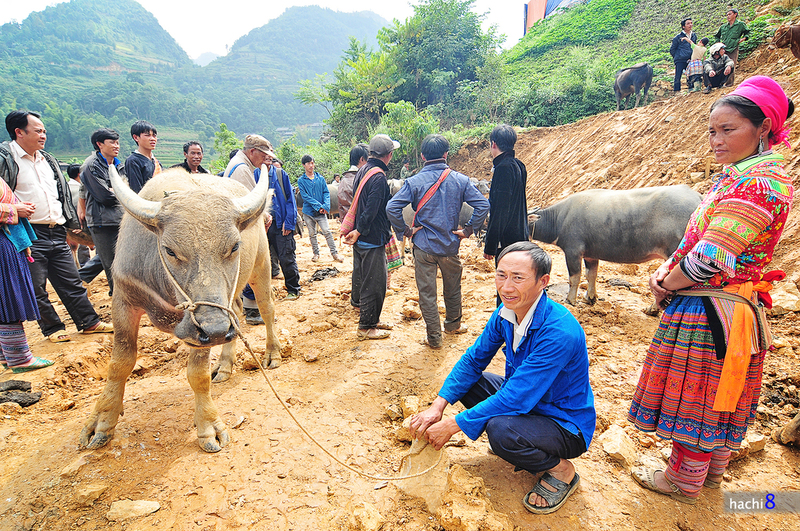 The place selling horse always attracts men most, they come from remote villages, even those from the provinces of Bac Giang, Ha Tay... coming here to buy horse. 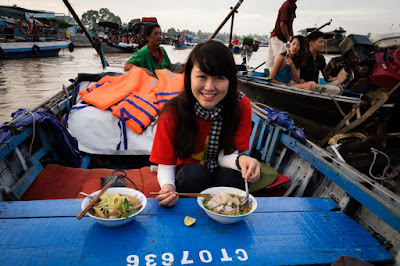 At the fair, adventurous gastronomes can try “thang co” porridge, a popular dish of the H’Mong and other local people. People usually sit in groups around a “thang co” soup pan, eating and chatting. 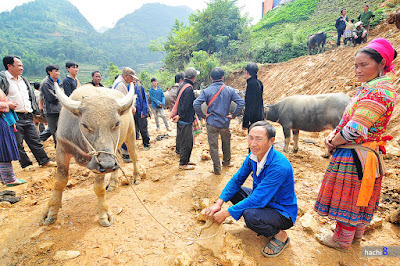 Rounding the corner and pungent fumes of alcohol accosted your senses of smell, from corn whiskey, a Bac Ha specialty. 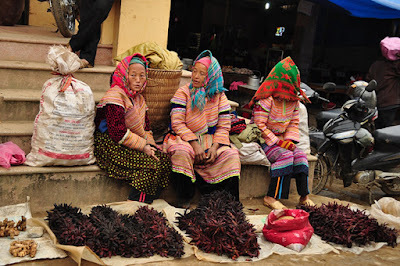 Previously, Bac Ha market took place on a sloping hill, afterwards, the new market was built on a concrete floor and is split sale areas. Therefore, it is partly lost its pristine beauty.. However, in the trend of commercializing the highland markets, Bac Ha market is one of the rare places retaining ethnic identity, unique features of the old market. 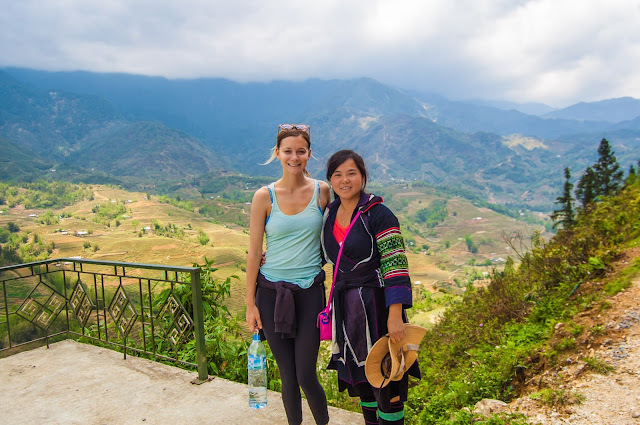 In Bac Ha Marke, The Flower Hmong minority is the most common here, and their colorful dresses makes it a beautiful sight and you will be able to experience a wide range of different colorful ethnic minorities and more interesting aspects of life in the mountains. Enjoy your time at the market, walk around and listen to the sounds of local life. It will be a memorable experience.